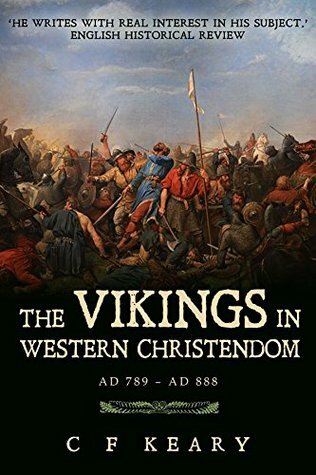 I really wish I could have awarded Vikings in Western Christendom more than three stars, but I can't. Even three is me being a little generous. I was excited to read this book as I have a strong interest in the Vikings and the Norse gods; unfortunately, it left me frustrated. This is a new release of an old text. As such, I expected some views to be outdated since the author lacked the benefit of modern archaeological research. That I could live with. What I found unbearable was the author's pompous tone. This runs throughout the piece and is ever more present each time he decides to start throwing Latin words into his prose. There were long quotes too that were not translated. I can make out some Latin, but not enough to decipher it all without resorting to a dictionary. Readers in his time doubtless had studied Latin, but when releasing this for a modern audience, I would have thought someone would have had the foresight to include the translation, even if only in an appendix at the back. The history of the Viking raids was interesting and well-presented, but other expressed views on the Vikings are woefully outdated now. In conclusion, a work that may interest scholars, but probably not a title for the casual reader.